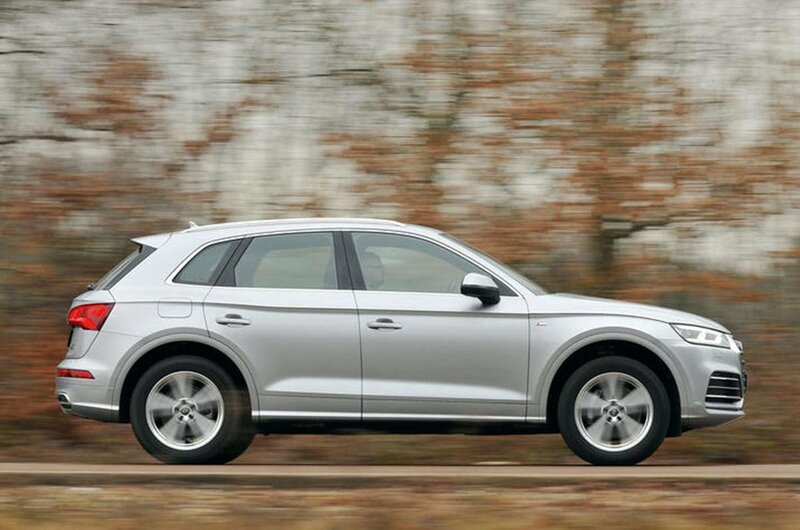 Used Audi Q5 Review - 2017-present | What Car? For a relatively small engine in a biggish car, the 2.0-litre petrol is pretty pokey. That’s down to a turbocharger that boosts power to a healthy 249bhp, and a usable spread of shove throughout the rev range. Like the 2.0 TDI 190 diesel, this engine has a standard seven-speed dual-clutch automatic gearbox, which changes smoothly through the gears but can be a little jerky at parking speeds. While not super-quick in terms of outright pace, the 2.0 TDI 190 187bhp diesel is flexible enough to deliver strong real-world pace. That means there’s no need to rev it hard to keep up with traffic. It’s also pretty smooth compared with equivalent 2.0-litre diesel engines in most rivals. 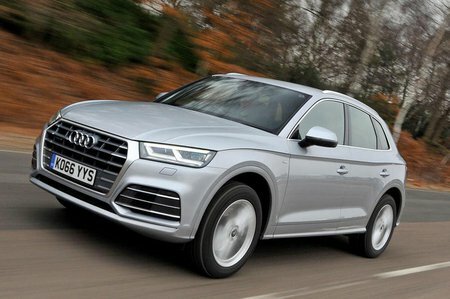 The 3.0 TDI is a tremendous engine. With 282bhp, it simply romps off down the road the minute you put your foot down. But there’s more to it than just straight-line pace, because it’s effortlessly quick in normal, everyday driving. That’s down to the enormous shove it generates from low revs, coupled with the responsive eight-speed automatic gearbox. The only downside is that it will cost you more to buy and run than the 2.0 TDI 190. SE is the entry-level trim and comes with a powered tailgate, three-zone climate control, leather seats, xenon headlights and heated front seats. Infotainment-wise, you get Bluetooth and a DAB radio, plus smartphone mirroring that lets you use your phone’s sat-nav through the 7.0in screen – handy, because sat-nav isn’t standard. For a small premium over SE, you can move up to our favourite Sport trim. This adds some sporty styling upgrades but, more importantly, sat-nav. You also get more comfortable sports seats that include four-way electric lumbar adjustment. S line is the range-topping trim. It takes the sporty look up a notch with larger 19in alloy wheels, more aggressive bumper styling and privacy glass. You also get powerful LED headlights and part-leather, part-Alcantara seat trim.